Does your boat need a steering wheel? Maybe it's time to upgrade a worn-out wheel, or you're working on a custom boat restoration project. Whatever the case, you'll love Great Lakes Skipper's massive inventory of boat steering wheels. 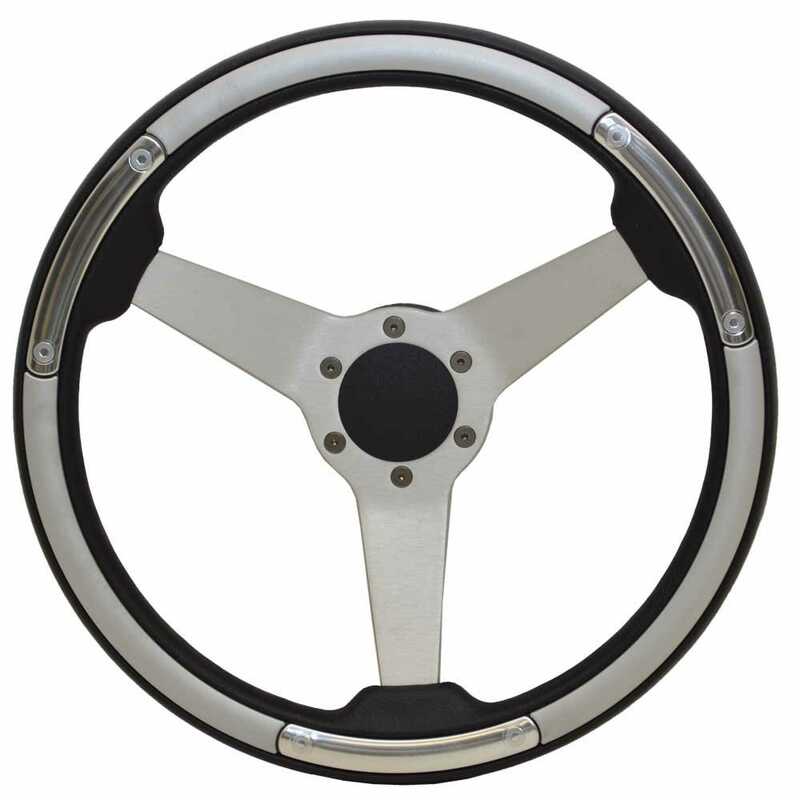 We have discount boat steering wheels of all kinds, in many different materials. From shiny stainless steel boat wheels to rugged PVC steering wheels, Great Lakes Skipper has the marine steering wheels you want at discount prices you'll love. Check us out for closeout pricing on boat wheels by Larson Boats, Triton, Sea Fox, Malibu, Dive-N-Dog, Premier Marine Incorporated, and other top brands.